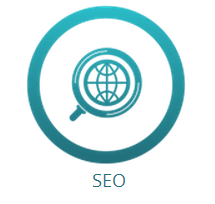 As you know SEO is a superb marketing tool to increase organic search traffic. This section helps you to adjust the meta tags that finely control search engine behavior to your website. Here you can type Meta Keywords, Site Description Meta and enable checkboxes that determine whether your pages are indexed. All this information gives your potential visitors the ability to confirm your content matches what they search to find.